Say Goodbye to Medical Curcumin! The FDA continues its war on the compounding of custom medications by eliminating even more dietary ingredients. Action Alert! Curcumin is the most important ingredient of the Indian herb turmeric. You probably have it in your kitchen as a yellow spice. From a health standpoint, this herb is a miracle. It is tremendously anti-inflammatory and has so many health benefits it would take a book to list them all. Naturally the drug industry wishes it could be patented as a drug. That won’t happen, because natural foods generally cannot be patented. FDA to the rescue! The agency has just ruled that curcumin cannot be used in a compounded medication—that is in a medication prepared just for you by a specialized pharmacy. That at least knocks out one source of competition for standard anti-inflammatory drugs. And the agency doesn’t seem to care that those same standard anti-inflammatory drugs have been shown to be dangerous. Unfortunately, it isn’t just curcumin that has been banned. A few months ago, we noted that the FDA’s Pharmacy Compounding Advisory Committee (PCAC) was a stacked deck, and recent developments unfortunately prove this observation correct. At its most recent meeting, PCAC voted on whether to include nine substances on the list of bulk drugs that may be compounded under FDA regulations following the passage of the Drug Quality and Security Act. Of these nine substances, only one was approved. We listened in on the meeting and noted that, for a majority of the substances, the committee just adopted the FDA’s recommendation. 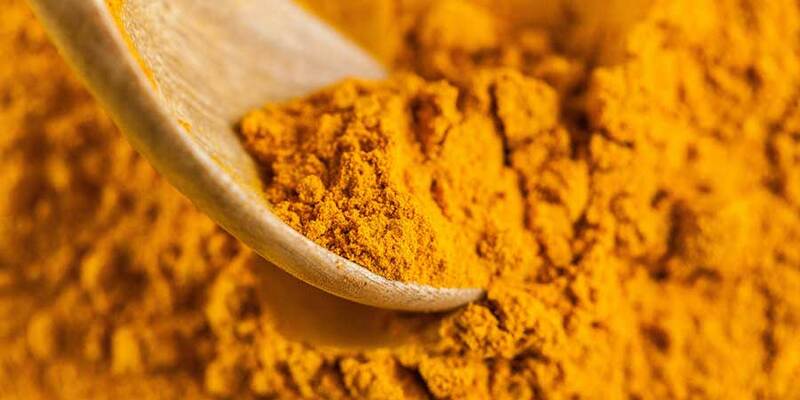 Despite robust clinical evidence that curcumin is safe, with superb and well demonstrated anti-inflammatory characteristics, PCAC voted to not allow curcumin onto the FDA’s bulk drug list. One of the reasons stated for voting not to include curcumin was that it could still be acquired as a dietary supplement. This entirely misses the point of compounded medications and individualized medicine! Compounded medicine is for segments of the population that have special needs and require nutrients to be delivered in specific ways—for instance, smaller pills, or gluten-free pills, or time-release capsules, or creams that are not offered commercially. Compounding pharmacies are the only way these patients can get access to the nutrients and medications they require. Stating that a substance can still be obtained in supplement form betrays what we suspected all along—that many members of PCAC do not understand what compounding is or why it is important. Nor is this all. When the FDA grants a monopoly to a drug company to make a drug, it comes in a one-size-fits-all form—which is sometimes completely wrong for the substance. For example, some hormones should never be delivered in pill form: they are destroyed in the intestinal tract or taken out by the liver before they can do you any good. These particular hormones should only be delivered by cream, which compounding pharmacies can create. But drug companies couldn’t care less about the needs of individual patients, because they want to sell pills. MSM is a natural sulfur compound found in fruits and vegetables. Studies have shown that MSM reduces pain related to arthritis with no significant side effects. It also can stop even the most severe allergies in their tracks. If you suffer from seasonal allergies, this substance could be exactly what your body needs to stop it. Could PCAC and the FDA be trying to clear the market for Big Pharma’s arthritis drugs? Why else would they vote to eliminate this natural substance from compounding? This substance has exhibited anticancer and antiviral properties, but there is no mystery as to why it was voted down. It is currently being studied by a drug company as a possible drug, so the FDA is no doubt protecting the pharmaceutical company looking into the substance. Integrative doctors we spoke with use this as an antiviral agent, especially for hepatitis. It does have to be used carefully under medical supervision, but in this case has been banned from prescribed medical use. This drug has been useful for treating gastroesophageal reflux disease with minimal serious side effects. This is only the latest assault on compounding. Last month we reported that a number of bioidentical hormones had been nominated to the “Demonstrably Difficult to Compound” list, an attempt to further limit the substances that may be compounded under current law. By using bogus reasoning to whittle down what ingredients can be used in compounding, the FDA is once again doing the bidding of the very companies the agency is supposed to be regulating—and thereby preventing consumers from getting the medications they need. Action Alert! Write to the FDA and urge them to reconsider their rejection of these ingredients to the bulk drug list. Please send your message immediately. New Research BANNED on Medical Food and Supplements?